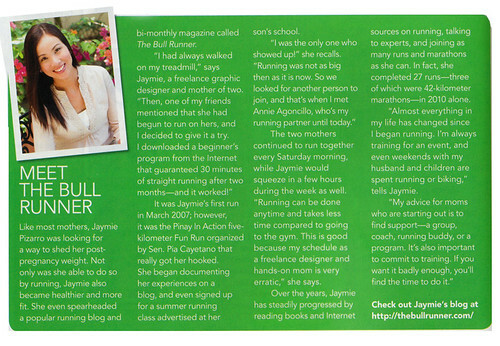 This issue has an article on running basics for beginners called “Run for Your Life” and this is where they snuck in a photo of me and a brief interview on how I got started with running. Aack, I couldn’t help getting all sentimental about those early days. Thanks again, Smart Parenting!